The only company you need for all of your international logistical needs. ZETA has its own world-wide network of experienced, professional overseas agents, together with ZETA's offices in other countries, we offer a service second to none and often envied by our competitors for our expertise, reliability and enthusiasm in all aspects of cargo movements and customs requirements. ZETA is flexible enough to care for and respect every shipment entrusted to us, no matter how small but large enough to handle and cater for any consignment. ZETA ushers new service levels for pick-ups, deliveries, reporting, track-&-trace, refrigerated storage, warehousing and transportation of goods including bio-pharm products and goods of high value nature. At ZETA we are totally committed to the needs of our customers and are prepared to go that extra mile to achieve that aim. In these days of technology, we still believe in old-fasioned values of one-to-one contact and a personal service too. Communication and modern technology is a key factor in our sucess and considerable time and money has been invested to ensure the best level of service is offered at all times. ZETA, with its head office in Hong Kong controls all movements from and into mainland China through its exclusive operations network which offers services to and from all Airports / Sea ports / Industrial townships of Mainland China. ZETA has an extensive world wide network of offices and associations in South Asia, Far East, Middle East, Pacific, American continent and Europe. 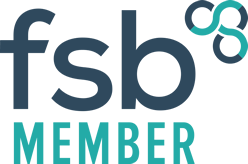 ZETA is now proud to be a member of the Federation of Small Businesses (FSB) and we are proud to display this badge across our website. We are an IATA accredited agent.